Mundys are delighted to welcome Lorraine to their Team! 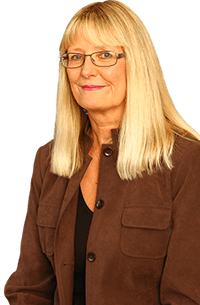 Lorraine Staines has joined the Sales Team at our Silver Street Office and brings with her in excess of 32 years’ experience in Estate Agency. She embarked on her highly successful career at the tender aged of 16 – when she joined J H Walter as a YTS, she quickly worked her way up the ladder and during her time with Walters became one of Lincoln’s most effective Sales Negotiators, after a structural change within the business – Lorraine was appointed Sales Manager, where she imparted her experience and drive to the sales team. Simon Bentley, Senior Partner of Mundys said ‘I am delighted to welcome Lorraine to our Team – she brings with her a wealth of experience and her passion for delivering superior customer care matches the ethos of Mundys’. Lorraine is Lincoln born and bred, has been married to husband Paul for 24 years – proudest parents of their 22 year-old daughter, Harriet.